With its 32 specialist clinics as well as more than 20 research institutes, the University Hospital Frankfurt is one of the leading university clinics in Germany. Every year, 51,000 inpatients and 227,000 outpatients receive the best possible medical care. More than 4,500 employees, including 1,300 doctors and scientists, as well as more than 1,100 nursing staff take care of the well-being of patients around the clock. In 2006, Frankfurt University Hospital undertook the broad-scale digitisation of image, lab and patient data. This required the installation of additional or new hardware infrastructure for the PACS. 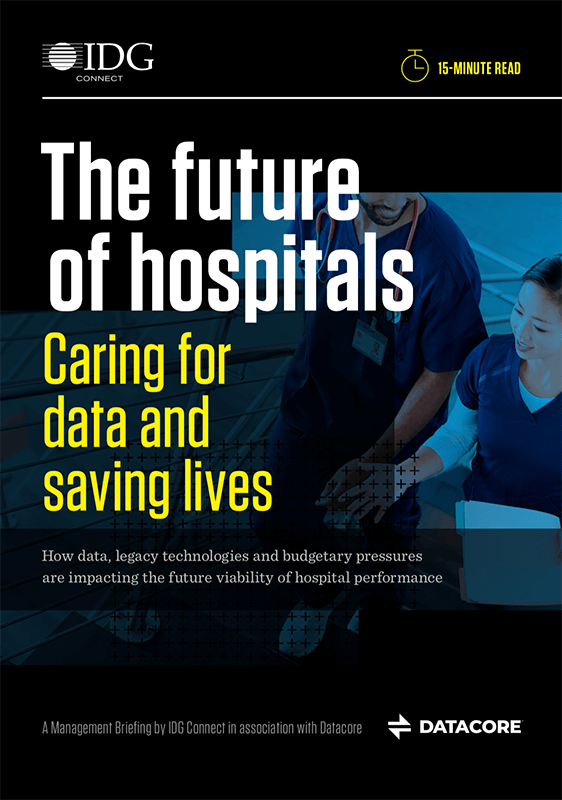 Along with the need to provide the high degree of availability and performance essential to hospital operations, decisive selection criteria also included flexibility, investment reliability and manufacturer autonomy. DataCore software-defined storage has been in use since 2006. As a result of continuous expansion, two storage servers per SAN and 3 storage servers per computer centre are now in use. They currently provide the greater part of the system environment with a highly available supply of storage capacity. The software offers a completely transparent, synchronous mirror, including auto-failover and auto-failback. The university currently operates two computer centres in two different locations on campus, which are linked via 32 Gbit FC. Three redundantly designed storage networks support databases, SAP, VMware View and applications like PACS, HIS (Hospital Information System), laboratory systems and medical applications that provide for secure, high-performance IT operations. Both VMware ESX and Windows Cluster are being used. Storage and server hardware are from HPE and Fujitsu. Total storage capacity is 1.2 PB, of which 0.7 PB are virtualised. The PACS data are also available for online access for a period of two years. DataCore SANsymphony has been in use as software-defined storage and storage virtualisation since 2006, initially only in a SAN environment. Due to continuous expansion, two storage servers are currently in use per SAN and 3 storage servers per computer centre. They currently provide the greater part of the system environment with highly available storage capacity. The software offers a completely transparent, synchronous mirror, including auto-failover and autofailback. One of the SANs is reserved for VMware View, the other two support a variety of applications. The greatest demands in terms of performance come from databases like Oracle, HANA and SQL for the HIS as well as SAP. 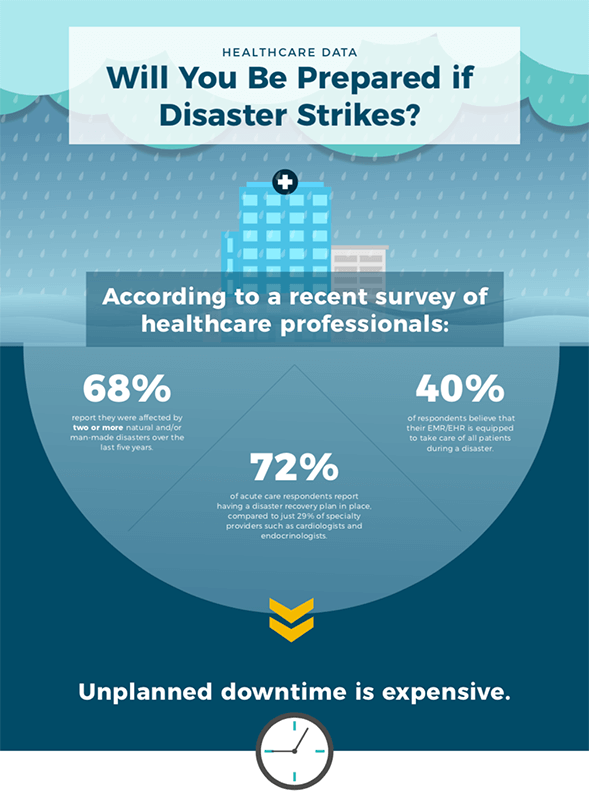 Here the university hospital uses DataCore’s caching as well as auto-tiering. This ensures that sophisticated applications are equipped with the best possible performance. Along with SAS and SATA resources, Flash storage is now also in use. Because the SANsymphony solution has proven its worth in connection with the PACS, we began migrating more systems to storage virtualisation. To date we have been satisfied with the results. Over the course of a number of server and storage generations we have benefitted from a central platform that is robust, high-performant as well as flexible. At Frankfurt University Hospital, the introduction of PACS (Picture Archiving and Communication System) in 2006 marked the start of a fundamental restructuring of the central storage environment. A large part of the roughly 1.2 petabytes of data is held in a redundant, fail-safe and high-performance virtulized storage environment. For more than a decade, this has made it possible to respond flexibly to new requirements while also saving on costs. An important function in the long-term use of the software solution has to do with migration, which is, on the one hand, guaranteed fail-safe through redundancy of data and systems and, on the other hand, is supported by integrated migration assistance. This ensured that hospital operations were able to continue without interruption during maintenance, when running updates to system status and when switching out hardware. 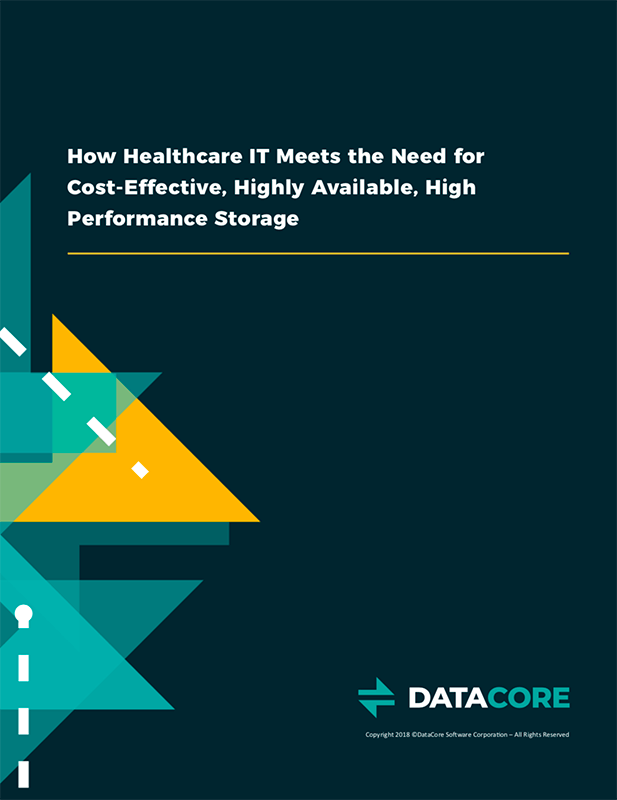 The DataCore software in use at the university hospital is currently in its third server generation; depending on the environment up to 8 storage generations have been employed, although older systems continue to be used for noncritical environments. We were able to perform migrations below the central software layer without causing any inconvenience. Plus, we are also able to use the hardware longer than usual and as a result we can cover our huge capacity needs without incurring horrendous costs,” says Hans-Jürgen Reinig, Group Manager for Virtualised Infrastructures. ”The decision in favour of DataCore was the right one. Our storage systems are stable and running at high performance levels. The autonomy with respect to hardware saved us a lot in terms of costs and gave us the flexibility, performance and high degree of availability that we were looking for. The University Hospital Frankfurt, founded in 1914, is one of the leading university hospitals in Germany. It offers its patients the best possible medical care in 32 medical clinics/institutes. The close relationship to science – the University Hospital and the Department of Medicine operate a total of 20 research institutes – ensures that patients receive timely implementation of new discoveries in therapeutic practice. Around 1,500 inpatient and day clinic beds are available. Numerous institutes are dedicated to special medical and scientific services. Every year, 51,000 inpatients and 227,000 outpatients are cared for. The University Hospital has special interdisciplinary competence in the fields of neuroscience, oncology and cardiovascular medicine. As a location for organ and bone marrow transplants, dialysis and heart surgery, it also performs special tasks in national medical care. In addition to cardiac surgery, the Hessian Hospital Act also provides a unique selling point for the Frankfurt-Offenbach region in oral and maxillofacial surgery, dermatology and child and adolescent psychiatry. More than 4,500 employees (full-time equivalents) take care of the patients around the clock.